Office 365 provides the most comprehensive and compelling cloud-based productivity suite for organizations of every size and shape. The enterprise functionality and economic value of Office 365 is unmatched by any other offering available in the marketplace today. Microsoft’s executed vision for hybrid workloads and integration between on-premises and Office 365-hosted applications give customers the ultimate flexibility to control workloads their way. 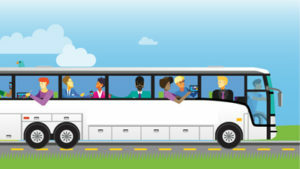 Work with confidence – securely access content from anywhere at any time.Work better from anywhere – access must-have files even when you’re away from the corporate network.Work your way – take Office anywhere on any device with Office mobile applications across Windows, Android and iOS. 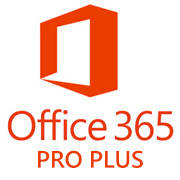 Office 365 ProPlus delivers cloud-connected and always-up-to-date versions of enterprise applications, both from a security standpoint and new features added. Advanced Security. We’ve Got Your Back. 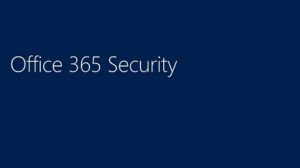 Threat detection—Helps you identify high-risk and abnormal usage, and security incidents.Enhanced control—Shapes your Office 365 environment leveraging granular controls and security policies.Discovery and insights—Provides enhanced visibility into your Office 365 usage and shadow IT without installing an endpoint agent. INTERESTED IN AN OFFICE 365 CONSULTATION? GET CONNECTED.